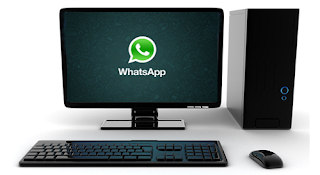 Whatsapp is one of the most popular mobile messenger application available in the market. Whats app is mostly available for all mobile platforms. But if you are using normal mobile and wanna try this messenger then here is the good news for you, through this trick you can use whatsapp in pc too ( Available Only For Windows and Mac). 1. Install bluestacks on your pc. Click here to visit bluestacks Download Page. 3. Then look for Tab named Social click on it and install Whatsapp. 4. After installing Whatsapp enter your New mobile number which is not registered earlier. 5. Now it will try to verify your mobile number but that won't work. Wait for some time while it tries to send sms for verification. After it fails it will give you an option to get the verification code over call. Select the CALL ME option. You will get a call from an international number. 6. Finally Enter the three digit code which you receive over the phone and you are done.